Having said that I dislike how much of a retail-fest the RHS Hampton Court Flower Show is, compared with the Chelsea show, I have to say that it is a great place to find new gardening kit that ticks all the right boxes and that you might not come across elsewhere. 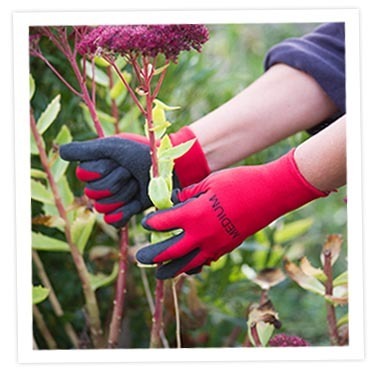 My favourite find this year was the perfect pair of everyday use gardening gloves: Red Backs by Glove Specialists. They’re hard wearing, comfortable and fit my small hands. Why is that garden centres never stock XS or S glove sizes!? Road-testing so far with these has been great, and I’m looking forward to see how long it will be before I wear through the finger tips. As a rule, I wear out gardening gloves in just a couple of months. 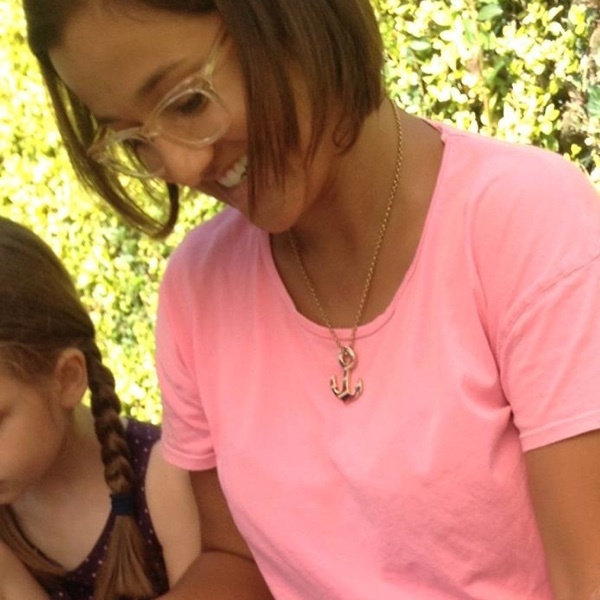 I love the colour too, as I’m sick of gardening gloves in small sizes (for women, obvs) that only come in pink or purple. Another great buy was something I’m calling a trug barrow by Home and Garden Extras. It’s going to be really useful when I’m working in client’s gardens – I use my car for work and can’t fit a traditional wheel barrow in the boot. The light-weight frame folds flat(ish) and it came with a large trug. I have already received envious looks and enquiries from people when I’ve had it out and about. It’s not been extensively tested yet, so I can’t say how it will stand up to heavy use, but I’ll revisit this post in a few months time to let you know. Lastly, I got to play with lots of the lovely toys-for-gardeners-who-have-a-tool-fetish at the Niwaki stall. I’ve used one of their pruning saws in the past. The blade is thin and surprisingly flexible, and cuts through branches like a dream. The Bakuma Tristar pruning saw is definitely going on my Christmas wish list.